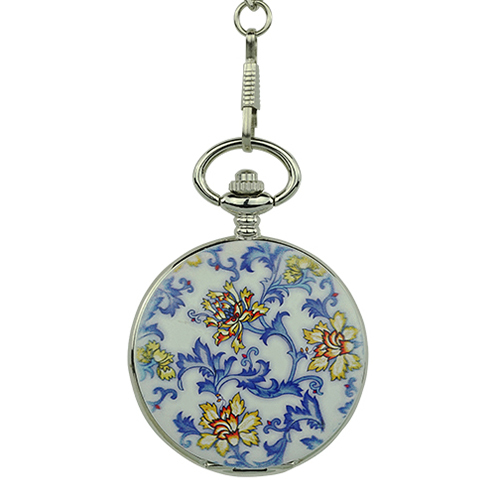 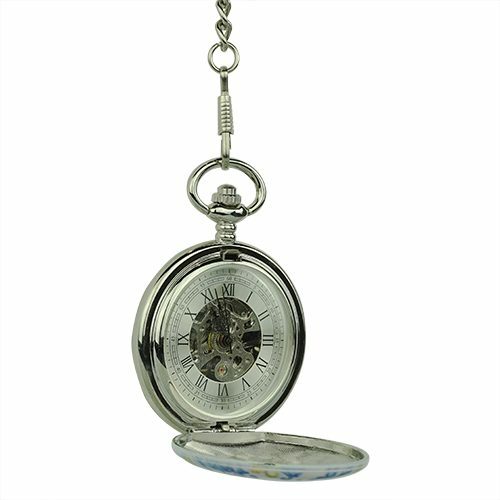 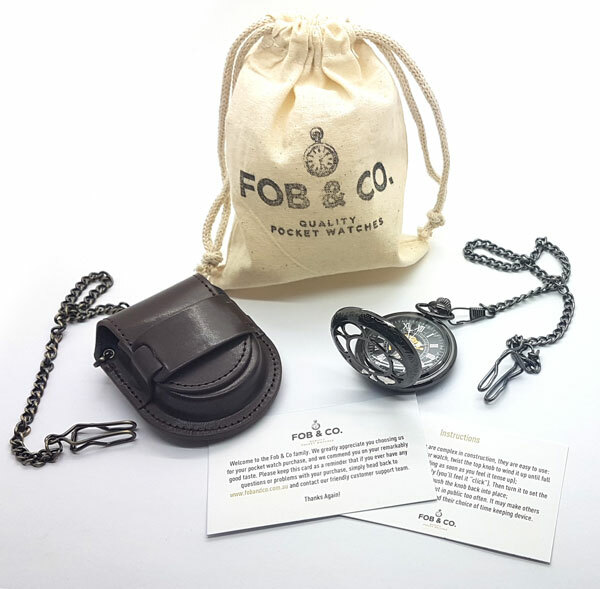 Ceramic Floral Tile Hunter Pocket Watch - Fob & Co.
Add colour to your look easily with a charming pocket watch designed with a ceramic front cover with a blue and yellow inked flower artwork. 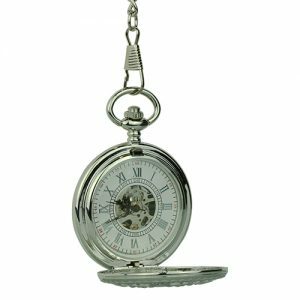 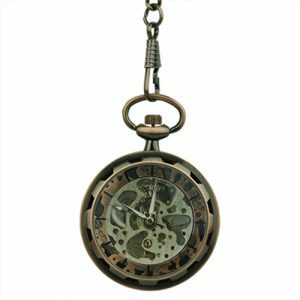 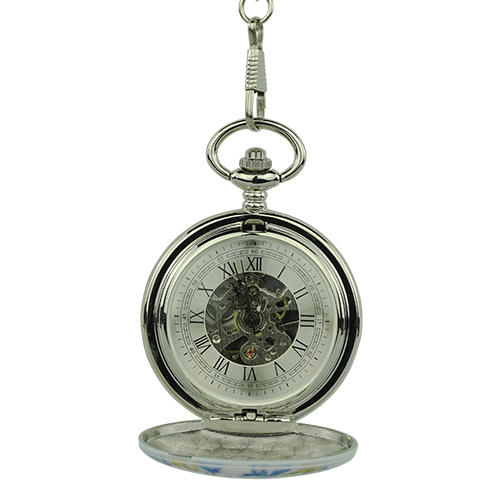 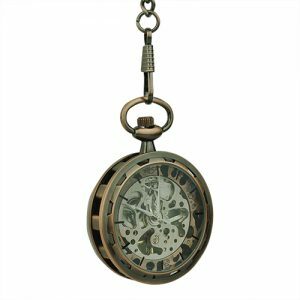 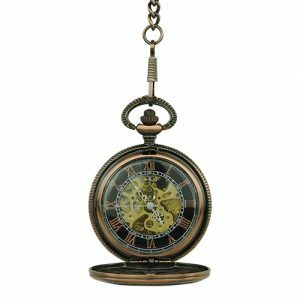 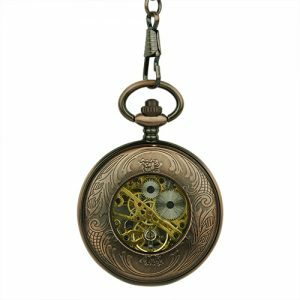 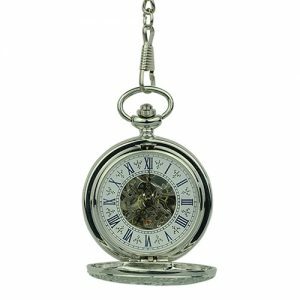 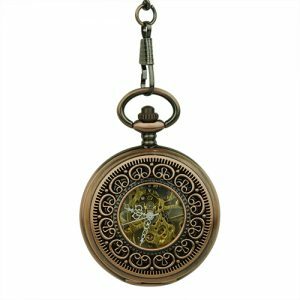 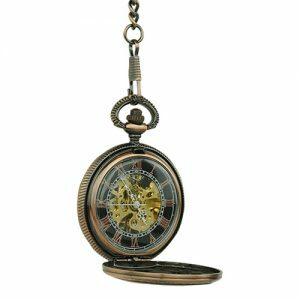 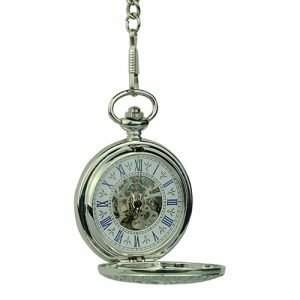 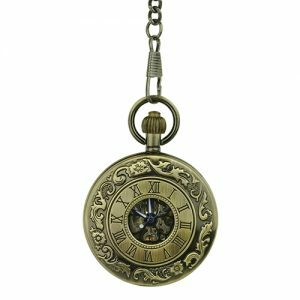 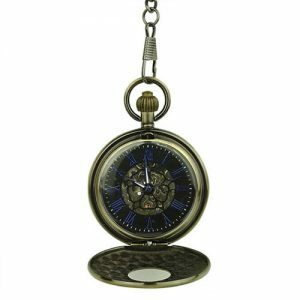 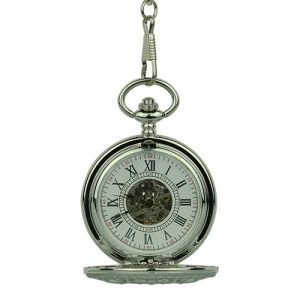 Open this handsome pocket watch and the inside reveals polished silver and elegant, black Roman numerals on a white background that highlights an intricate skeleton. 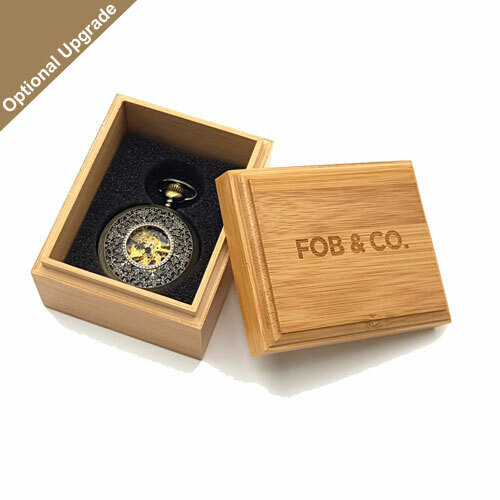 The back cover also has blue inked flowers.